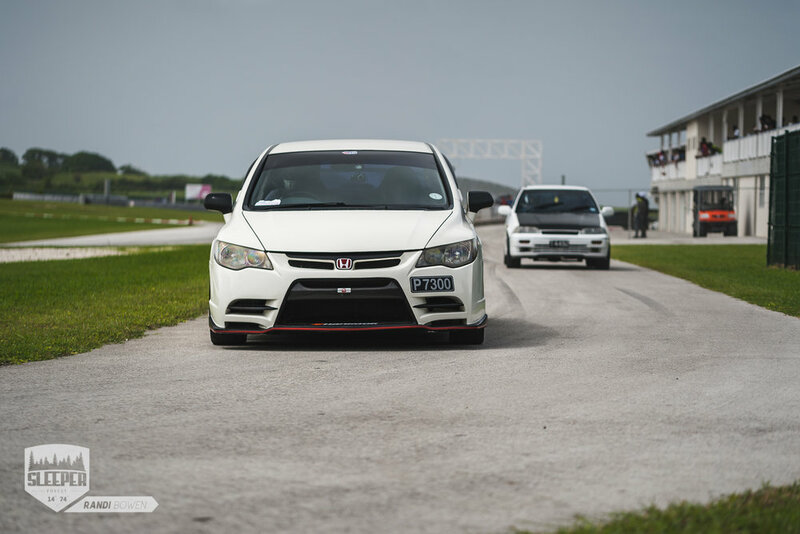 While motorsport is a firm staple of Barbados, the track opens only a few times to the general public to put their performance - or lack thereof - car through its paces in a true track environment. Bushy Park, originally opened in the ‘70s, has cemented its status in the hearts of petrolheads with its rich racing heritage and international appeal over the years, and will continue to do so for generations to come with its recent redevelopment. 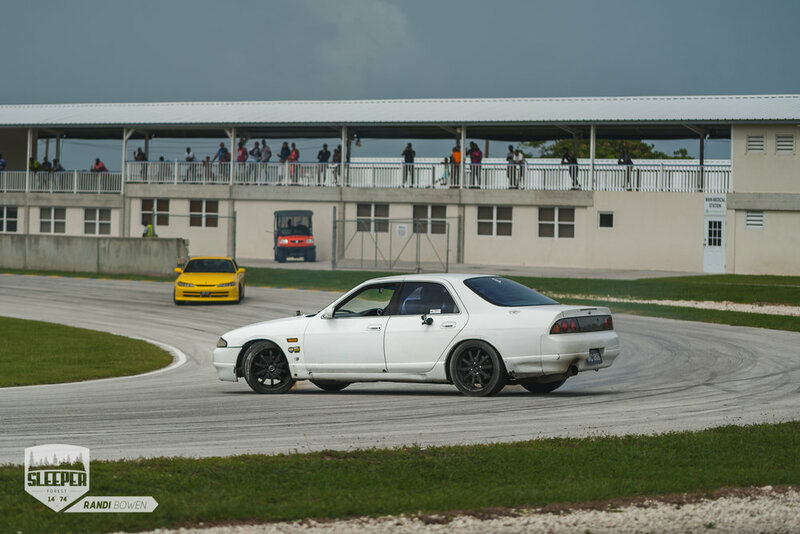 Once only a dirt track set in the south-eastern parish of St. Phillip, a complete circuit upgrade commencing in August 2013 has been the product of support from the Government of Barbados, Barbados Motoring Federation (BMF), Federation Internationale de l’Automobile (FIA), and group of local investors who shared the dream to turn the venue into a world class track. 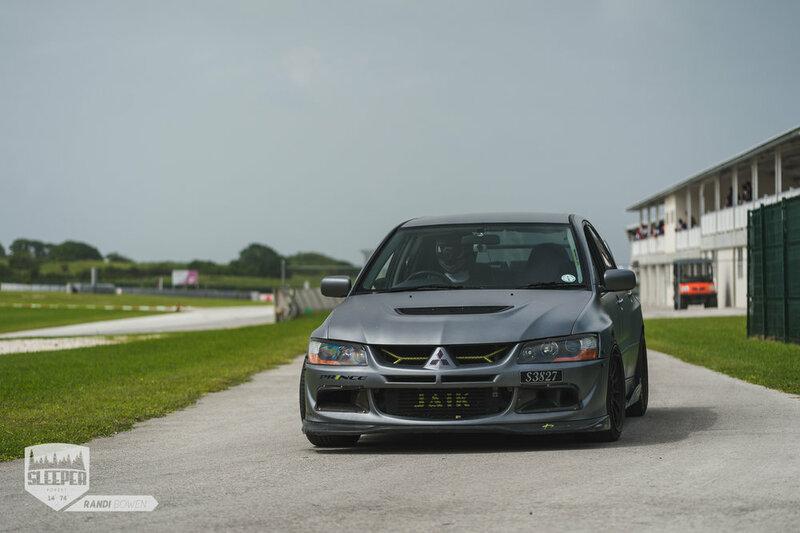 Nine months later, when the first phase of the redevelopment was complete, Barbados hosted the Top Gear Festival in May 2014, followed by Race of Champions later that same year after second phase of the plan was executed. The current laundry list of upgrades include a 2.01km International circuit which meets FIA Grade 3 requirements, CIK Grade A kart circuit, a one-eighth mile drag strip, and a rally-cross track, with further development expected to include luxury car suites, a Country Club, and Museum which I’m particularly excited to cover when it is finally completed. 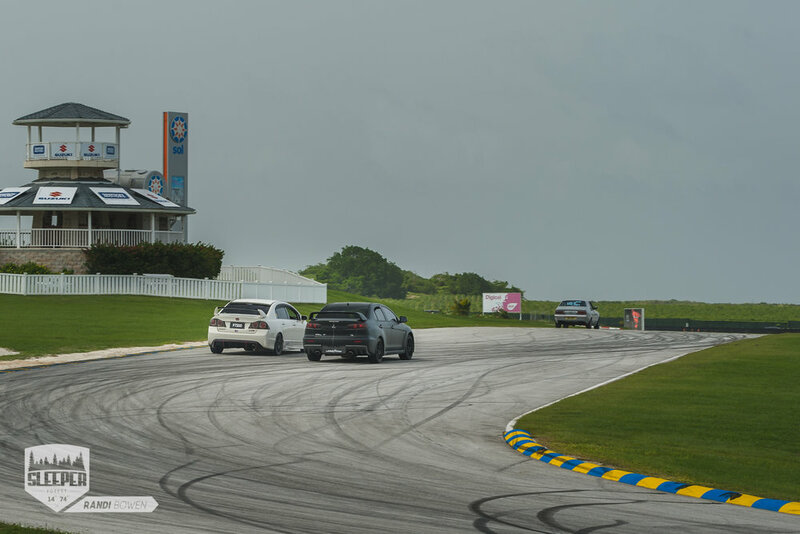 A tropical wave approaching the island brought menacing skies which threatened to put a damper on the activities, and this article could have gone quite differently had the skies not ceased their onslaught; thankfully they did, and I made my way to the track. As I arrived, the road cars were just about to make their way out of the pits and onto the track, and I scrambled onto track to get the first session of the day. 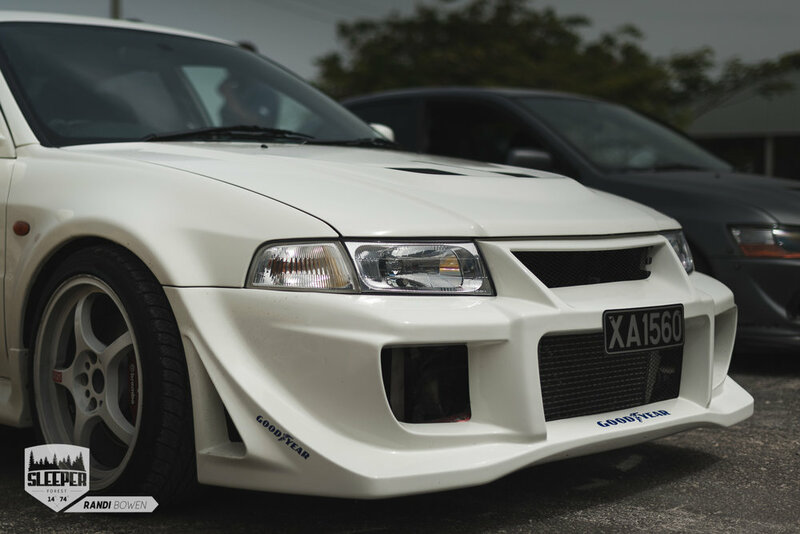 Being an open day means anyone who pays the registration fee can bring their vehicle of choice and have at it on the track; that being said all manner of road cars made an appearance such as this lone Toyota Altezza/Lexus IS200, proudly displaying its trident on the windshield - Bajan Pride! This 2-door Suzuki Baleno hatchback may look tame on the outside as it joined in the fray but its driver put the 20 year old car through its paces, squeezing it to redline on the straightaways; the owner of which managed to track me down after his first session to see if I managed to catch him in action. Even the US-imported Volkswagen Fox proudly owned by a fellow Sleeper Forest shooter pumped out a few triumphant laps. It wasn’t the fastest or the prettiest but it sure had character, wearing its age valiantly like a badge - rust peppering the bone stock bodywork. While longitudinal mounted 4-cylinder gasoline engine powers this modest looking machine what’s really interesting is that it shares blood with the Golf - that’s right, the iconic hot hatch. As the first set of cars made their way through their first laps, this cleared the way for the more powerful machines to warm up their tyres, and that they did in flamboyant fashion. 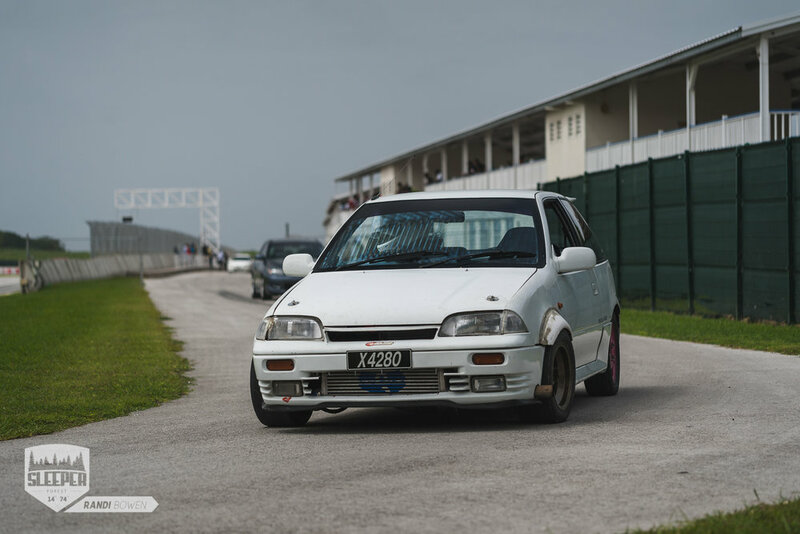 Most of the cars in Barbados come from either Asia or Europe, which explains the myriad of Japanese Domestic Market (JDM) machines you'll find present on the island. A 1JZ-GTE power plant inside this Toyota Cressida was more than ample to get the rear end out as it powered into the first corner out of the pits, setting the pace for the RWD machines in tow. The next machine out the pits was this Nissan Skyline GTS-T powered by none other than the RB25DET and outfitted with a screamer pipe, this is the same firebreathing Skyline highlighted at Wheels N Heels: Fully Broad Edition. While there are numerous GTS models of the Skyline on the island, you'll be hard pressed to find a Skyline GT-R on the streets with so few examples of the performance coupe - Godzilla is as elusive in reality as in the movies. 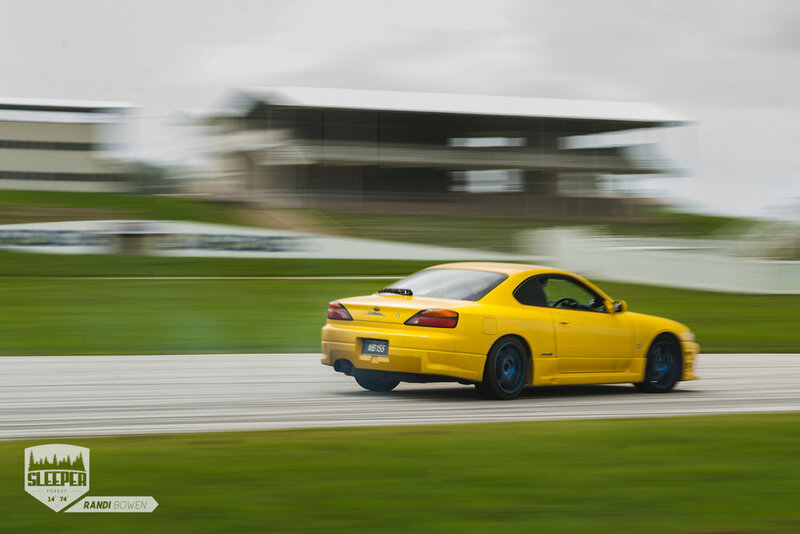 This Nissan Silvia S15 Spec-R, one of my dream cars, was like poetry in motion, her voice a raspy baritone that crescendoed into a tenor, accentuated by a shrill BOV chirp. The HKS Silent Hi-Power exhaust mated with the SR20DET under the hood of this beauty was a symphony to my ears. 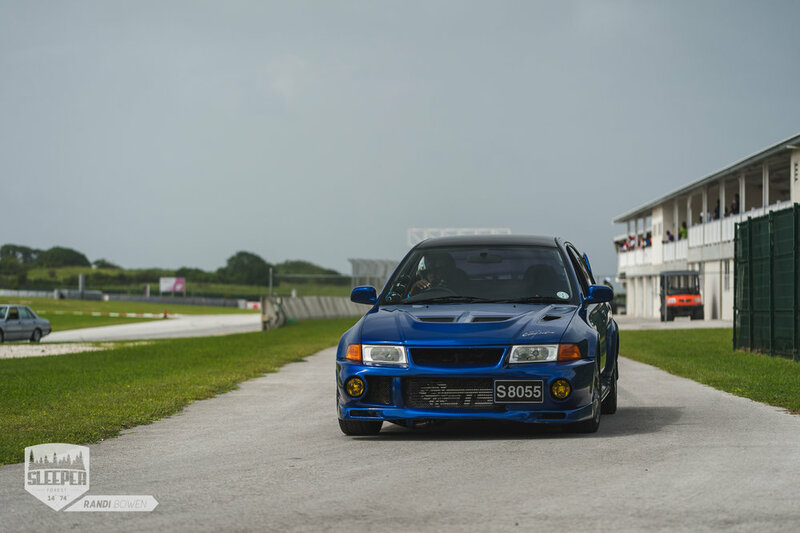 Adding to the list of icons, the ever identifiable boxer-engine made an appearance in the heart of this hawkeye WRX STi, another car on my must-have list, but the fun couldn’t last forever as it would lose a gearbox by the end of the day. A few games of cat and mouse ensued, giving the drivers a feel for their machines and the track as tyres reached their optimal operating temperatures and engines warmed up to prime efficiency. 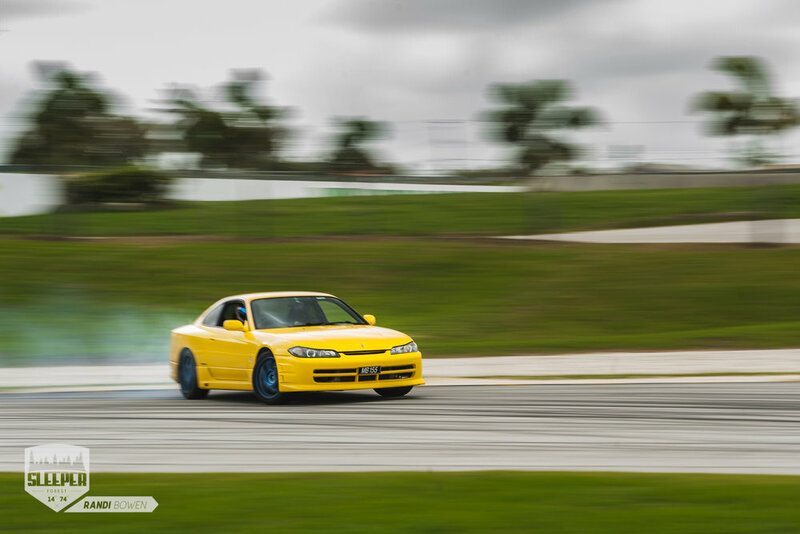 The 4WD machines seemed to be more focused on precision and speed than just flashy driving, where the RWD machines went side ways in almost every corner - form versus function. 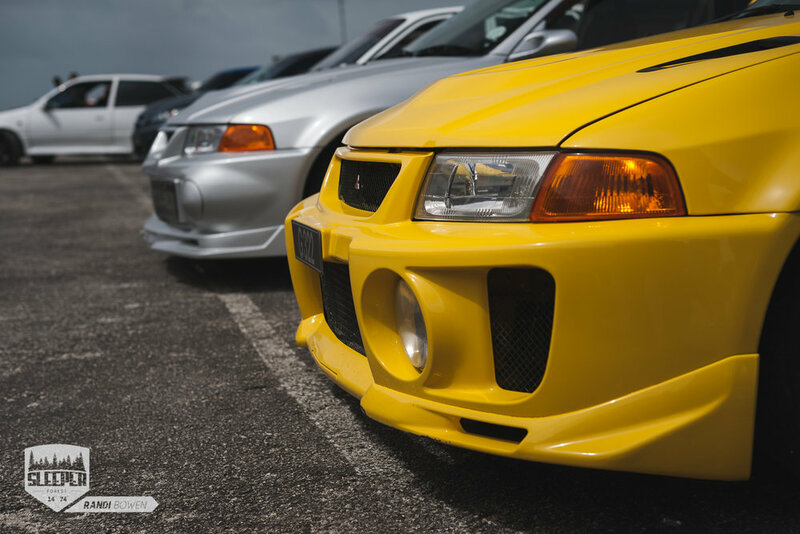 One of the many icons of the 90s, the Mitsubishi Evolution VI, negotiating a pass on the Altezza as it exits the ICBL W’s. 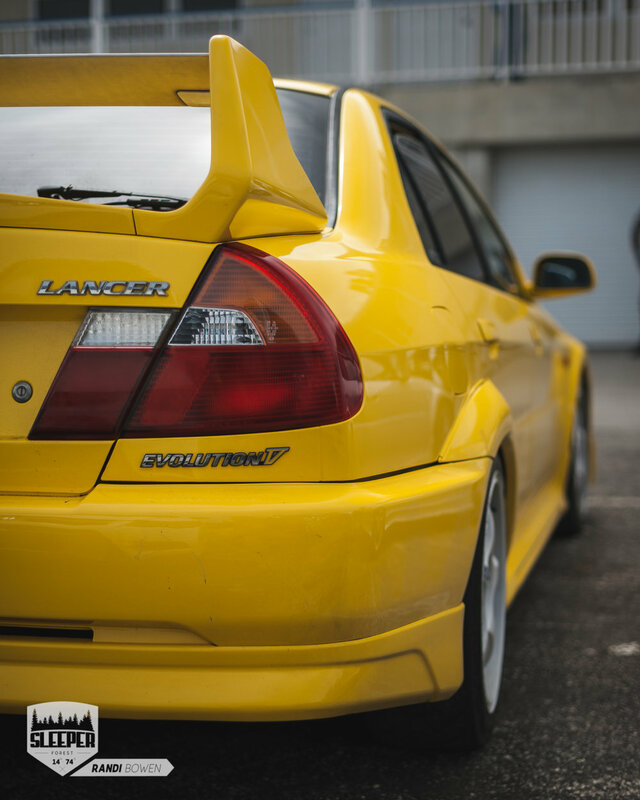 Despite its undeniable rally heritage, the Evolution has managed to make itself more than at home on the track; if I had to build a dedicated track car I would definitely start with an Evo. 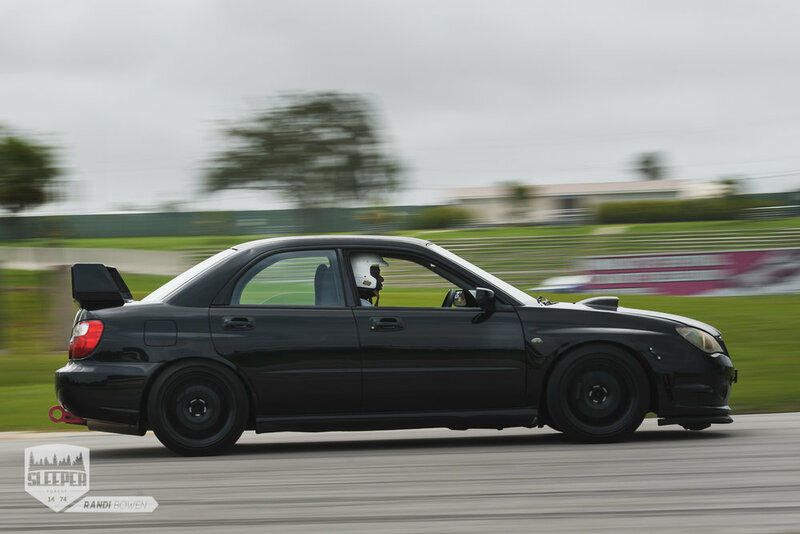 Two for two, as this Evolution V sprints down the straightaway into the Courtesy Dipper. 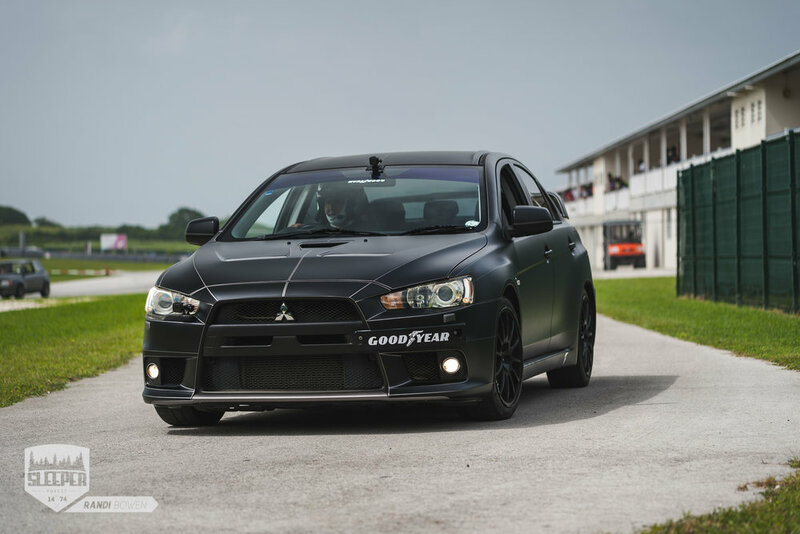 Reigning Autocross champion Chris McFarlane in his Evolution X, took a moment to give me a thumbs up before getting down to business. Representing for the Honda team, this naturally aspirated Honda Civic Type R (FD2) was no slouch, holding firm against the forced induction machines, powering through the bends, and screaming down the straights as VTEC kicked in and the K20 hit its redline - a truly purpose built machine, you would be hard pressed to deny this vehicle's performance capabilities. Once the road cars had their fun, these thoroughbreds took to the track and though I had seen them in action before, they're never any less impressive than the last time I saw them. The Radical Motorsport SR3 RS, powered by a 4-cylinder 1340cc variant of Suzuki's GSX-R motorcycle engine with a 10,500 redline, is good for 220HP fed through a 6-speed sequential paddle-shift gearbox resulting in a 0-100km/h time of 3 seconds - faster than Porsche' 911GT3. Sean Maloney thunders out of the pits, and is soon joined by David Simpson in his identical SR3 albeit in different livery. No sooner had these high-revving machines exited view into one corner of the track, they would reappear from the other direction, down the straightaway in front of the pits. The precise, no-nonsense focus of these machines allowed them to make quick work of the track in what felt like mere seconds; I look forward to covering one of the championships which pits these amazing beasts against each other. When the Radicals headed back in and the track lay empty in the midday sun, I took the opportunity at the end of the first session to get off the track and briefly revisit the pits that I so hastily whizzed by upon arrival - I wanted to see some of those eargasm inducing machines up close. I managed to snap just a few of these legends when the announcement for the next road car session was announced; not wanting to miss the next session I headed over to the pit exit to capture some more of the cars as they took to the track once more. Heading back to my previous stake out position on the track, which was good vantage point where I could capture the cars through the first corner and down the straight, I felt the urge to find new perspective. Eventually I followed my gut and decided to change locations, taking refuge behind the tyre wall of the first corner right as the R33 slid past me through the apex of the turn as I scrambled to stabilise myself. This proved to be an equally good spot as I could see the cars coming down the home straight into the corner, giving me more opportunity to track them through the corner from a closer distance. A spin out in this corner almost spelled disaster as the R33 lost traction in the apex of the turn coming to rest in the path of the Silvia. I caught the sequence as it unfolded, the S15 managed to avoid the collision, negotiating around the Skyline and giving a twitch of the rear end out of the corner and into the straight. 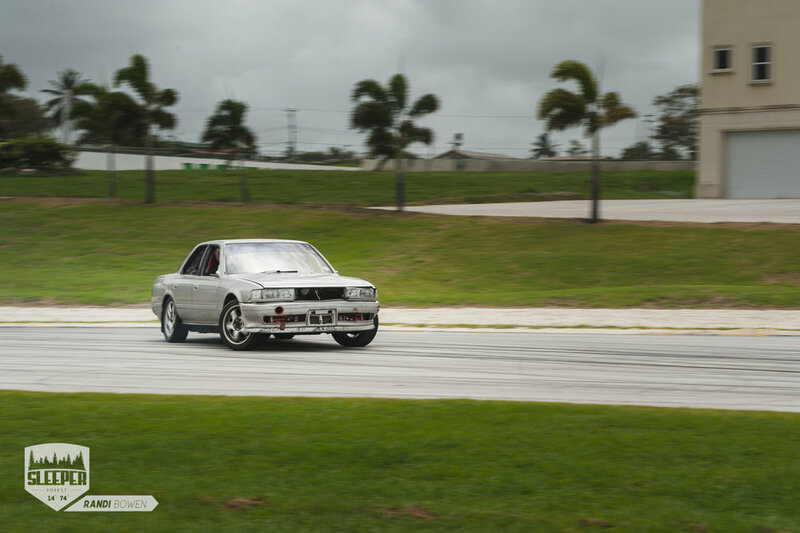 Once the coast was clear, the Nissan made its way back onto the track for some more fun. After events almost went awry I changed locations, heading to a more elevated part of the track hoping to get new perspective before the session was over. While I stood perched behind the tyre wall snapping away in the afternoon sun, I barely noticed the heat nor when the clouds from before had gone. I sensed a comradery lingering; drivers and spectators alike had cast their problems aside and come out to enjoy what will hopefully grow to be a more frequent pastime. We all were living only in the moment; a lesson in life perhaps - no matter what problems you might encounter, life is bigger than us all. As the last car made its way around the track for the ultimate time and I gathered my final thoughts, I could feel an air of gratification - the love of motorsport is the thread that binds us.